Med-Tech Innovation has recognised the achievements of the medical technologies industry through its Advancing Healthcare Award. 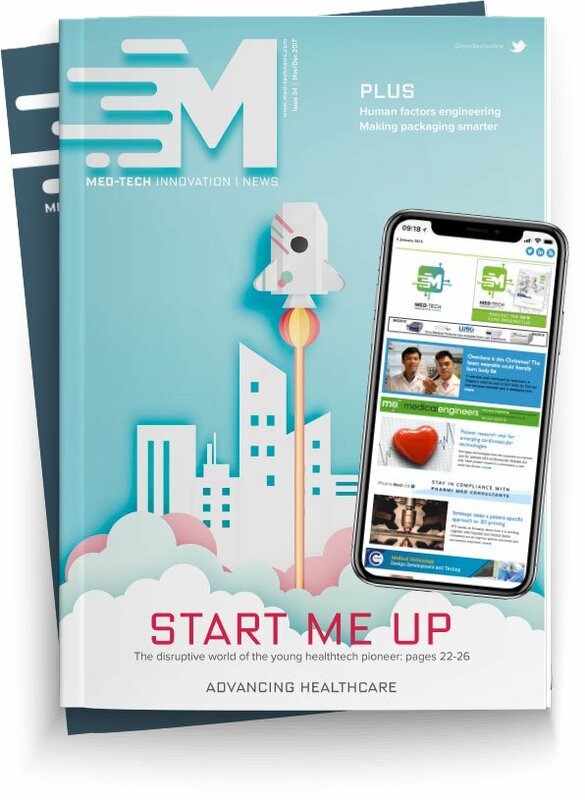 Hosted alongside the Medilink Awards on 25 April, four companies were nominated for the award, which is designed to celebrate the most innovative products and services for approaches to manufacturing in healthcare. The finalists included BioBarica, a manufacturer of hyperbaric chambers, Bluefrog Design, a product design consultancy, contract manufacturer Boddingtons Plastics, and Foba Laser Marking, a specialist in product identification technologies. BioBarica was nominated for its flexible and portable hyperbaric chamber, which doesn’t carry the explosive and safety hazards associated with high pressure chambers. Boddingtons Plastic was nominated for its commitment to the medical device sector, with the opening of its £4.6m injection moulding manufacturing facility. The group says that the rewards from this investment have steadily accrued – both for the company and the industry. Foba Laser meanwhile gained its nomination for its laser marking technology that reduces the need for fixtures. The company is helping medical device manufacturers make their products traceable and its laser marker can do this in less than a second, accordingly and accurately and without the need for expensive fixtures. Patric Lamprecht, managing director of Foba, said: "The nomination is highly appreciated as it recognises Foba's continuous development in the field of innovating the medical device manufacturing processes. The new patent pending software innovation for automated mark alignment is a powerful advancement in vision-based laser marking. Our new leading edge technology speeds up device handling and laser marking processes while drastically reducing overhead costs. With our innovative laser marking solutions, we help our customers to implement a safe and economic application of laser marks at the end of their device production process. High-resolution marks with long-term durability ensure product traceability throughout the entire product life cycle." BlueFrog Design took home the award for its unique approach to treating a man suffering from a complicated skin condition known as paraesthesia. The skin condition presents an uncomfortable sensation on a person’s skin such as tickling, numbness or burning. The company used 3D laser scanning and 3D printing to create a wearable vest to improve the man’s quality of life so his clothes wouldn’t touch his skin.